Let’s be honest: all-night stocktake blitzes and over complicated excel spreadsheets are painful to use, unnecessarily labor intensive, and incredibly outdated. Why torture yourself and your team when there are cheaper and faster options available online? Sure, you might run a small business on a tight budget and can’t justify big, fancy new software. Luckily for you, cloud-based inventory management is actually MORE affordable than the old-school methods you’re currently using – and that’s just one perk. Below we’ve compiled 8 reasons cloud-based inventory management is a smart investment for your business. Starting a business today doesn’t require starting with giant budget and staff; small and steady growth over time is better than overreaching at the start and failing early. This is not only true of the size of your team, but also the complexity of the software you use to run your business. When you buy software that has to be installed on each and every one of your computers, it often comes loaded with extra features that make getting up and running complicated, drive up the purchase price, and may increase your need for costly new hardware. Together with the purchase price, these hidden, ongoing costs are known as the Total Cost of Ownership, or TCO. 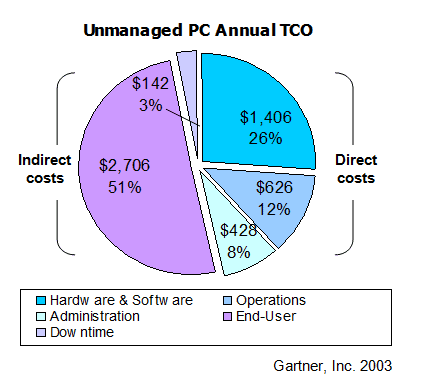 Research shows that the price of a computer is only 20% of it’s TCO – technical support, maintenance, labor costs, etc. account for the remaining 80%. But hidden and unnecessary costs don’t just apply to computers – they’re also found in the software you run on them. And the best cloud platforms are easy to setup and use – so there’s no extra IT hassle, new equipment, or expensive training classes. The old way of doing business required you to install software on each and every computer your team uses and have a dedicated IT department to keep that software running. This cuts into profits, slows down training time, and increases labor costs. Cloud-based software doesn’t require any additional employees or special hardware – you just log in and get to work! And since they don’t rely on dedicated in-person training to teach your team how to use the new software, most cloud companies have streamlined their software’s learning curve so that everyone can understand the basics and start using it on day one. Easy stock control is one of the most exciting benefits of cloud-based inventory management. Instead of combing through piles of reports from different systems and departments or worse – making “educated” guesses – cloud software lets you view up to the minute data on inventory levels through easy to understand reports and dashboards. And instead of relying on special, manual stock-takes that require extra labor and could interrupt your operations (costly for growing businesses and large, multi-location companies alike), cloud-based inventory software often includes features like QR code tracking that allow you to actively measure stock as it flows through your operations – which can save you much more than the cost of a monthly software subscription. But the time-savings don’t end there – the automation cloud inventory systems bring can drastically reduce the number of costly human errors you and your team make. Ray Panko from the College of Business Administration at the University of Hawaii conducted a study on inventory management using Excel spreadsheets. Students who worked alone estimated their error rate to be 18%. Their actual error rate was 86%. Groups predicted a 13% error rate, but in reality, it was 27%. The results are clear – we humans just aren’t that good at catching our own errors. With automated cloud-based inventory management software, though, you’ll not only save the time of taking stock and compiling reports, but you’ll also reduce human errors that can have serious business consequences. If you’re a savvy business owner, you probably know your top 5 best-selling products – but do you know your lowest-selling? You may notice how well you sell during Christmas, but do you know when demand actually peaks and troughs? Questions like these are answered by inventory reports automatically generated by cloud-based software. By knowing your lowest-selling items, you can make strategic decisions like upgrading those products, changing your marketing tactics, or ditching them altogether to focus on something new. And knowing when demand for your products is actually at its peak, you’ll be able to order enough stock without overdoing it, saving money and storage space while also maintaining enough safety stock to prevent “out of stock” notices that cost you customers. With the inventory reports you’ll get from cloud-based inventory software, you’ll be able to deeply understand last quarter so you can effectively forecast for the next, which means better customer service and faster business growth. QR and barcodes are essential to modern inventory management; if you’re not using them, you’re practically living in the supply chain dark ages. Paired with the right cloud-based software, they provide detailed, real-time insight into your inventory levels across your operations, saving you from ordering too much (which forces you to sell at clearance prices) or ordering too little (which forces you to break out that costly “out of stock” sign). Business software review site GetApp.com recently took a poll of business owners asking them how they decided to reorder inventory, and found 46% decided on information from previous months. While this is a more effective strategy than depending on educated guesses, with a reliable cloud-based inventory management system that uses QR or barcode technology, a few simple changes to your production processes can provide much more accurate data that lets you know exactly how much inventory you have in stock – saving you hours of time and reducing human error. Can you imagine manually entering all the data from your ecommerce platform into your inventory management system, and then again into your accounting software? If you operate like many other businesses, you might not have to imagine it – that may be your day-to-day reality.Fortunately, you can sidestep or end that nightmare with cloud-based inventory management software. By automatically syncing data across multiple top business applications like Shopify and Xero, modern inventory management software can save you a ton of time spent on manual data entry. This allows you absolute control over your operations across all channels, enabling you to see where your inventory is currently held, the status of your purchase and sales orders, and ensure your accounting is up to date and accurate all from one place. While there are many benefits of cloud-based inventory management, one of the most important for the busy entrepreneur is being able to operate their business any time, any place. With cloud software, you can manage multiple warehouses wherever you are, allowing you to buy, sell, and manufacture with ease. If your team operates remotely, then your product manager in Detroit can update your distributor in New York in real-time. And you can generate reports on the spot for a trade show in LA or for a business presentation to new investors in Hong Kong. 24/7, anywhere accessibility makes cloud-based inventory software perfect for startups without a physical location and international companies alike. 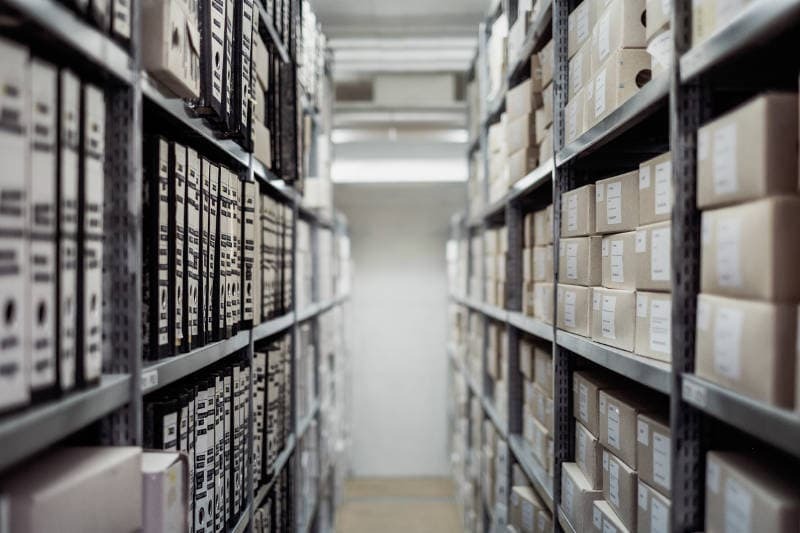 Now we get to a crucial and often overlooked benefit of cloud-based inventory management: keeping your critical data safe, secure, and intact. It’s so easy to accidentally delete files, visit an infected website, or suffer from inevitable hardware failure. Paragon Software Group did a study on SMBs, revealing that more than 1 in 5 companies (22%) have experienced data loss that caused a significant impact on their business. What’s more staggering is that 20% of these companies don’t even do daily backups, and out of those, 42% think it’s an inefficient use of their time. Modern businesses realize this is a potentially fatal mistake. To keep your business protected, consider investing in a cloud-based inventory management solution. It’s far cheaper than the price you’d pay to recover your lost data, or worse, lose customers and go out of business. Today, there’s no good reason to use clunky, complicated, and error-prone manual methods of supply chain management. With the right cloud-based inventory management software, you’ll save more than enough time and money to justify the upgrade. Or you can invest in the continued growth of your business by updating your inventory management systems today. Experience the automation and integration benefits modern cloud-based inventory management software offers by starting your free 14-day trial of DEAR Inventory today!